UPDATED: 4/21/2016 – The US Department of Labor has released 2015 stats and show only 33,900 appliance repair technicians in the entire United States! So there are even less technicians than what was originally reported. We have reached out to the BLS for a comment on why the figures for 2014 have changed so dramatically. The BLS claimed that this number does not reflect the self employed workers, only people that are actual employees of different companies. The appliance repair industry is in dire need of experienced appliance repair technicians. Based on 2014 statistics from the US Department of Labor, there are only 46,400 appliance repair technicians nationwide. Compare that to a similar industry, like HVAC, which has nearly 300,000 technicians nationwide. Every household has some type of furnace but it’s fair to say that every household has a refrigerator and range, too. 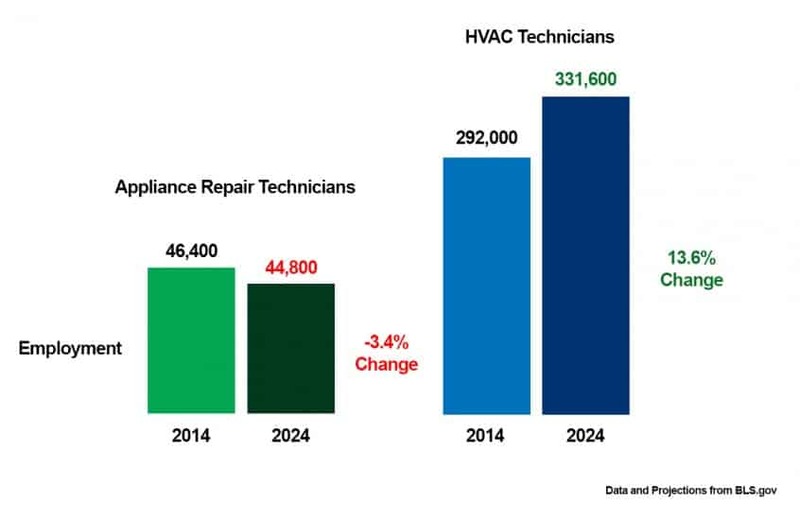 The US Department of Labor also shows that the appliance repair labor force is expected to lose 2,000 technicians over the next 10 years due to retirement. Why is this happening? Why are new technicians not adequately replacing the retirees? The largest contribution is a lack of qualified training in appliance repair. There are some trade schools that offer some training in appliance repair but many of these courses are an add-on for HVAC training. There are very few schools dedicated to strictly appliance repair. Fred’s Appliance Academy, founded in 2008, has trained over 700 students. Unfortunately, Fred’s Appliance Academy alone is not enough to solve this national crisis. Support is needed from large appliance manufacturers, who are also suffering from a lack of qualified technicians. 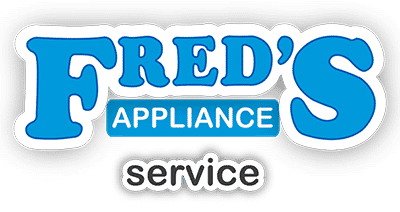 Even though the typical course at Fred’s Appliance Academy is only three weeks, it’s still a large financial commitment for any one person. To qualify for traditional financial aid and other forms of Title IV financing, Fred’s Appliance Academy would have to extend it’s course another 6-8 weeks to qualify. Not only does this increase tuition costs but it defeats their overall goal. The goal is to train people as quickly and efficiently as possible and get those graduates to work. Fred’s Appliance Academy has an industry wide jobs board with over a thousand jobs posted by over a hundred different companies. There is plenty of opportunity in appliance repair. Samsung Home Appliances is one manufacturer who is stepping up and aggressively trying to solve the lack of qualified technicians. Beyond providing their own training to their authorized service companies, Samsung is reaching out to schools like Fred’s Appliance Academy to better prepare new technicians for this field. Samsung has sponsored 3 students to attend the March 2016 three week Basic Appliance Repair course provided by Fred’s Appliance Academy in March 2016. Both of these students are in their early 20’s and traveled all the way from California to attend this small trade school in Ohio. 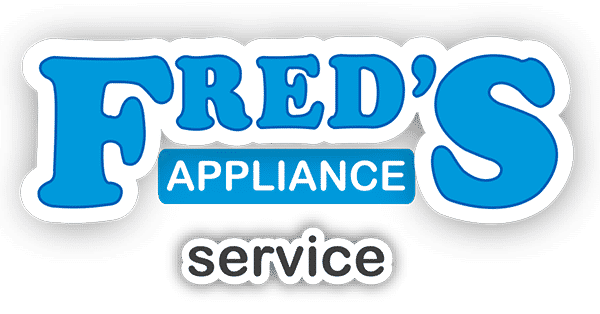 Fred’s Appliance Academy hopes this continues a trend with other manufacturers. “This is an industry-wide problem and we have to understand that our lack of qualified technicians is not going to be solved by maintaining business as usual. 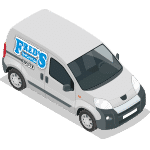 We are more than willing to work with every appliance manufacturer to help them achieve their own company goals while growing the industry labor force nationwide,” said Adam Butcher, Director of Fred’s Appliance Academy. Fred’s Appliance Academy wants to thank Samsung for their continued support as they take a small step forward together to solve this national appliance repair technician shortage.